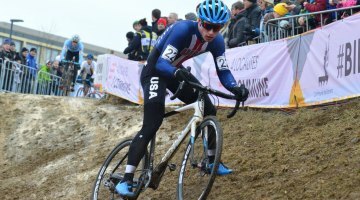 Hartford, Connecticut – Maxx Chance (University of Colorado-Boulder) had a busy Christmas break, heading over to Europe for the Namur and Zolder block of Euro Cross camp and then quickly hitting the road for Hartford. 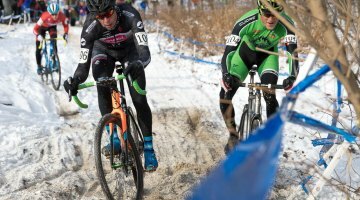 After relatively dry races at those venues, he had to wait for the U.S. Cyclocross Nationals in Hartford to get his mud exercises in. Chance made the most of the opportunity to race in the mud by taking the first Stars-and-Stripes jersey of the week in the Men’s Collegiate Club race in Hartford. 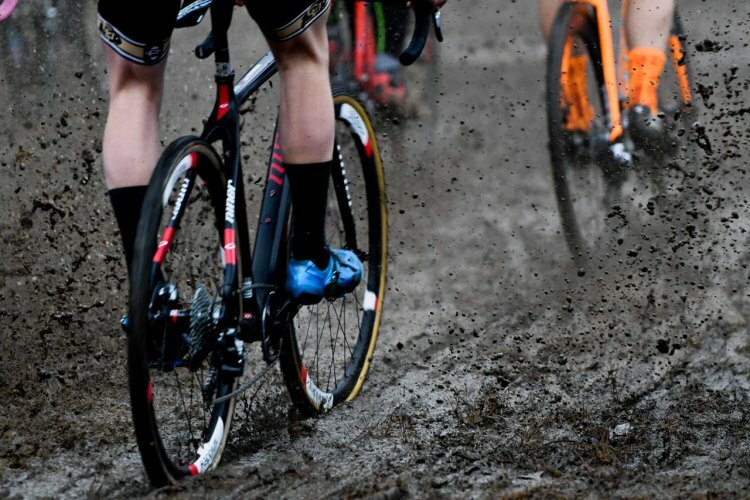 Rain nearly all day Tuesday left the course a muddy mess that looked like one found at the Belgian or Dutch national championships. Organizers removed the slip-and-slide descent from yesterday, but the course still featured deep mud throughout the course and several technical off-cambers rendered more difficult by the precipitation. 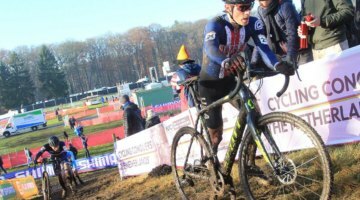 Chance blasted out to take the holeshot and staked himself out to a 10 second lead on a chase group of five after descending the muddy section off the levee. 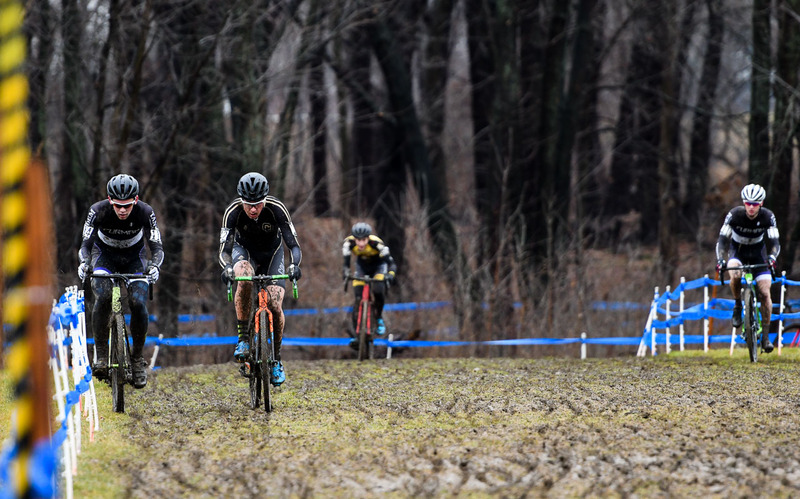 During the second lap, Cooper Willsey (Furman University) joined Chance at the head of the race while Willsey’s teammate Brenden Rhim (Furman University) worked to close the gap to the lead duo. The most unique feature of the Hartford course is the steep embankment section near the beginning of the circuit. It is ostensibly a choose-your-own-adventure section, but two early-week lines have already emerged – high and low. Riders during the morning racers have had split opinions about which is the best way to go, and Willsey and Chance were no different, with Chance going high and Willsey going low. 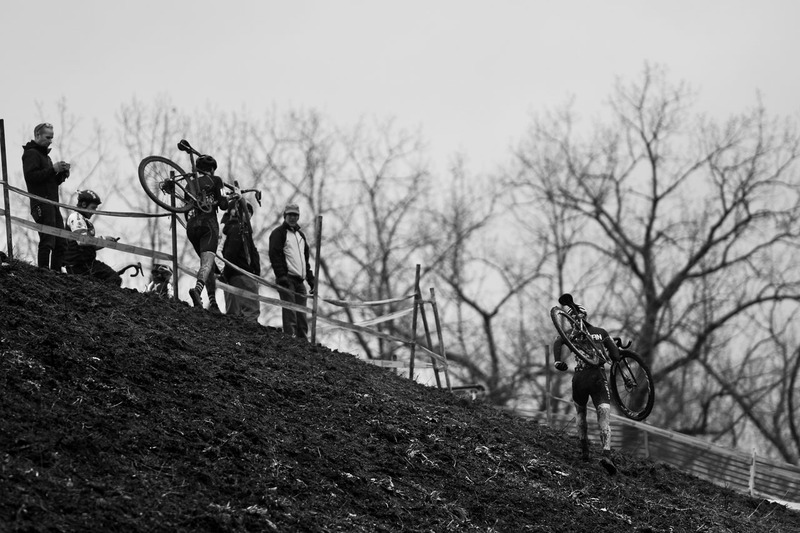 As the riders took the muddy descent off the levee for the third time, disaster struck for Willsey. 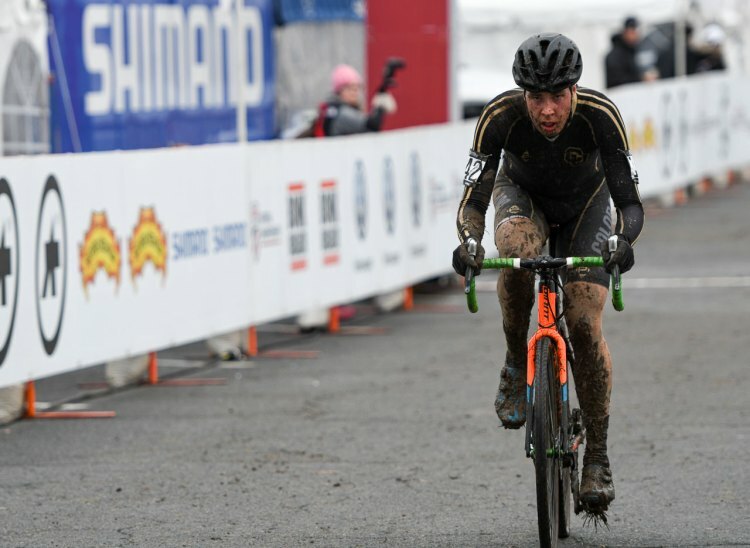 The Furman rider hit a muddy rut at the bottom of the slope and crashed over his handlebars. 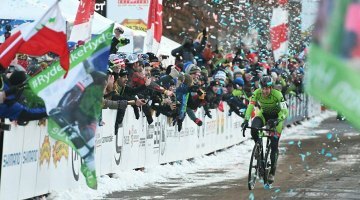 Chance seized the opportunity to open up a gap at the front, and he quickly pulled an 8 second lead on Rhim, who moved into second place. After opening up a gap, Chance stayed on the afterburners to pull away from the field. He took a 1:15 lead heading into the last lap and stayed strong through the finish to win by 1:21. 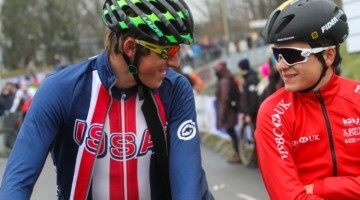 Rhim took the silver medal and Willsey overcame his tough third lap to take bronze. Byron Rice (Appalachian State University) and Casey Hildebrandt (University of Wisconsin-Stevens Point) rounded out the top 5. See the full results below. 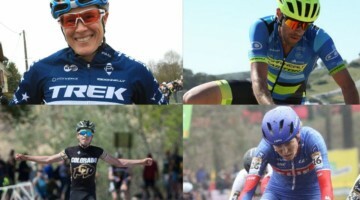 Previous post Emma White and Ellen Noble Forge a "Beautiful Duel" in the U.S.
Congrats to all of the mudslingers!